Understandably, manufacturers of leak decay testing equipment have especially high standards for the valves they use. In order for their testing equipment to function, it must hold a pressure or vacuum over a period of time, which is not possible if the valve leakage exceeds a certain amount. However, low leak valves are critical in other situations as well, such as for performing chemical analysis, controlling a flammable gas, or achieving a particular level of vacuum. This begs the question—how does Clippard ensure your leak requirements are met? Leaks in a valve are characterized by a leak rate, which is often given as a volumetric flow rate at a standard temperature and pressure (e.g. standard cubic centimeters per minute; sccm). The standard conditions take away any ambiguity about how much gas (in terms of mass) is leaking out. In many cases, but not all, the standard pressure is 1 atm and the standard temperature is 20˚C. Since even units that have the "standard" word in them do not necessarily reference the same standard, other units have the standard pressure built right into them, such as atm-cc/s and Pa-m3/s. According to the NIST website, any volumetric flow rate that includes "atm" also assumes that the standard temperature is 0˚C. There are many ways that valves can be checked for leaks. Clippard uses two of the most popular methods: pressure decay testing and helium leak detection. Pressure decay methods are an easy choice for many applications. Though decay testers can be quite sophisticated, they are fairly simple in theory. The integrity of the seals of a valve can be measured by how well the valve holds pressure in an otherwise closed volume. The tester pressurizes the volume with a gas, closes the volume, allows the pressure to stabilize, and then measures the volume pressure. After a specified amount of time it reads the pressure again. The amount of the pressure drop between the first reading and the second reading is an indication of the size of the leak in the VUT. Pressure decay testing can very effectively determine whether a valve is bubble tight, but its sensitivity is limited. Increasing its sensitivity requires very long test times, and a pressure decay test does not by itself give customers a good indication of the actual leak rate of the valve. The relationship between leak rate and pressure decay depends on the size of the volume under test and the length of time between the two pressure readings. 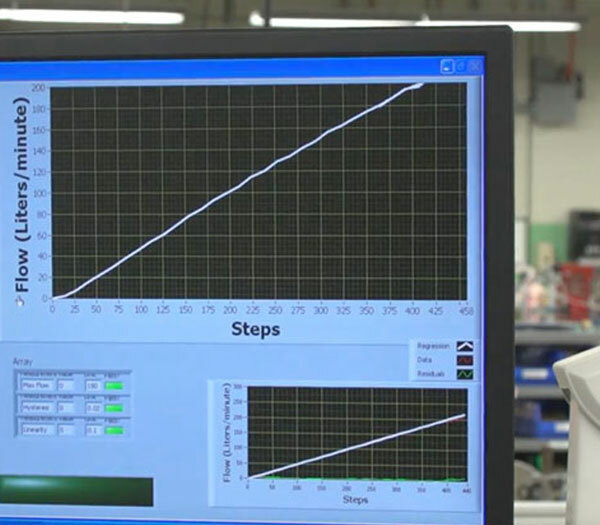 To overcome these limitations, Clippard utilizes helium leak detection. A helium leak detector uses a mass spectrometer that is calibrated to detect helium ions in a very deep vacuum. The valve-under-test (VUT) is connected by fixturing to the test port of the detector, and the detector is then pumped down to the test vacuum level. Once the proper test vacuum has been achieved, the tester is zeroed to get rid of background helium levels. Then helium is sprayed around the VUT. If there is a detectable leak, the mass spectrometer quickly starts to see an increase of helium. The number of helium ions counted by the mass spec is expressed as a leak rate of the VUT. 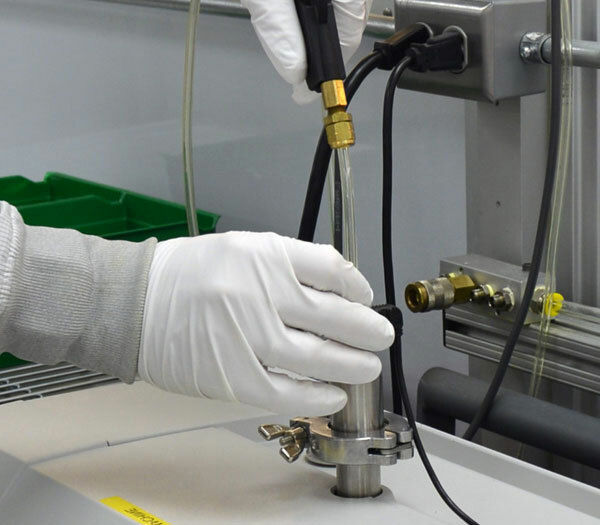 Contact Clippard for more information about our leak testing capabilities, or click here to locate your local distributor.